Are Medical Websites Becoming More than “Just” Websites? in Website Design. If you’re a regular visitor to the iHealthSpot blog, you’ll notice we publish a lot of posts about patient engagement. This is because two-way patient communication is essential to the success of any medical practice, as it enables you to encourage your patients to participate in their own care, resulting in more patients meeting their health goals and improved treatment outcomes. 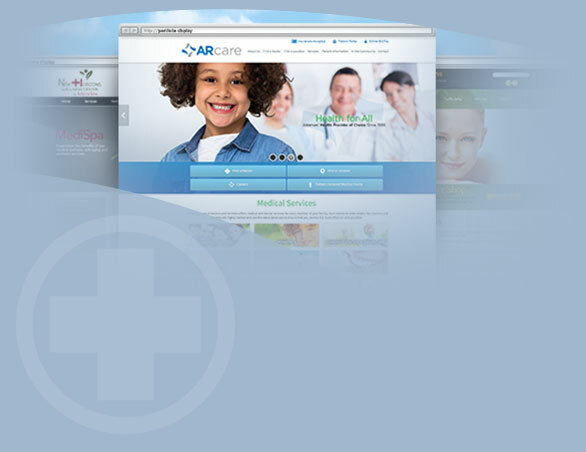 10 Things to Avoid on Your Medical Website in Mobile Web Design, Website Design. First impressions count, and on the web, it is the design of your medical website that first captures someone’s attention. It can help you gain new patients, interact with them online, provide education, and even generate positive testimonials. But it’s not just about your website’s look. Your website should be efficient and easy to navigate as well. You should also avoid certain features and functionality that people will find annoying -- because annoyed visitors will quickly “bounce” and leave your site, before they even know how you can help them. 4 Reasons Why You Shouldn’t Use a DIY Website Builder in General, Website Design. DIY (Do it yourself) Website builders are tools that help you build your own website without the help of a professional. While they might sound like a great idea at first, once you realize what they are, they are often not the best choice. Is Your Medical Website HIPAA Secure? in General, Mobile Web Design, Website Design. Medical Web Design Trends of 2017 in General, Mobile Web Design. In a previous blog post about medical website design, we mentioned that a good website design will typically last approximately 3 years. If your website design is older than this, then you probably aren’t incorporating the latest design trends. Something that you thought looked modern and fresh in 2014 may now appear dated, and even old fashioned. What is responsive web design anyway? in Mobile Web Design, Website Design. Don’t frustrate your customers with a website that doesn’t adjust to their mobile device. You need a responsive web design with web pages that look great at any size.